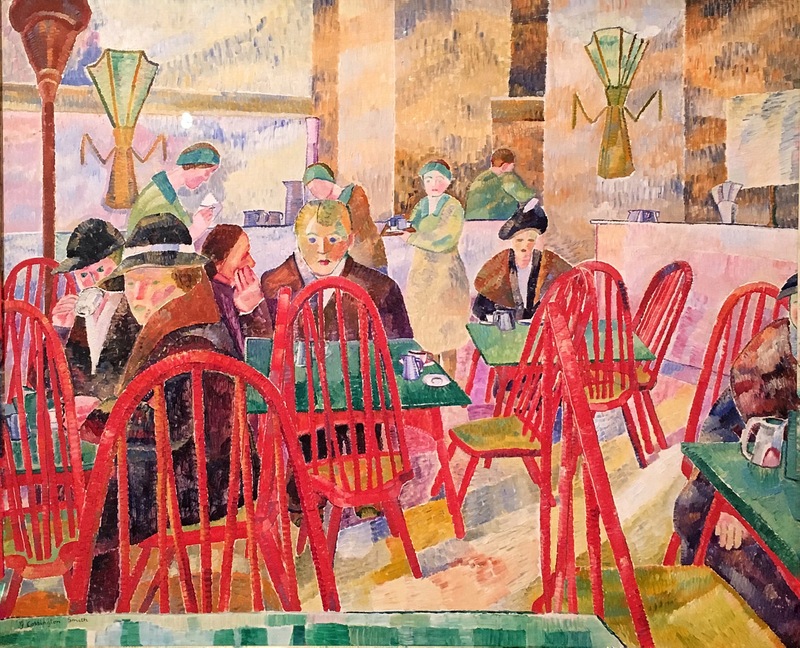 Grace Cossington Smith (1892 – 20 Dec 1984) Sydney, Australia. Oil on paperboard on plywood. Part of an exhibition of modernist artists with Margaret Preston and Georgia O’Keefe at the Art Gallery of New South Wales. The way of life then as depicted in the art isn’t much different from how things are now. Conversing people, a lone woman lost in thoughts, waitresses prepping their orders, some tense faces, etc. The Lacquer Room is mesmerizing. Agreed, a comforting thought for the time being, anyway.